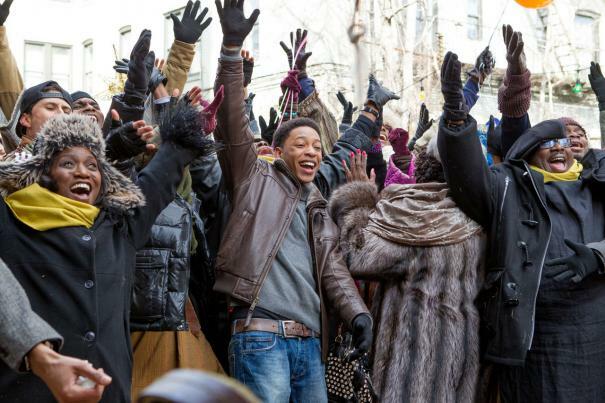 In a contemporary adaptation of Langston Hughes' celebrated play, "Black Nativity" follows Langston (Jacob Latimore), a street-wise teen from Baltimore raised by a single mother, as he journeys to New York City to spend the Christmas holiday with his estranged relatives Reverend Cornell and Aretha Cobbs (Forest Whitaker and Angela Bassett). Unwilling to live by the imposing Reverend Cobbs’ rules, a frustrated Langston is determined to return home to his mother, Naima (Jennifer Hudson). Langston embarks on a surprising and inspirational journey and along with new friends, and a little divine intervention, he discovers the true meaning of faith, healing, and family.